Meetings and events should be accessible to everyone, whatever their hearing ability. 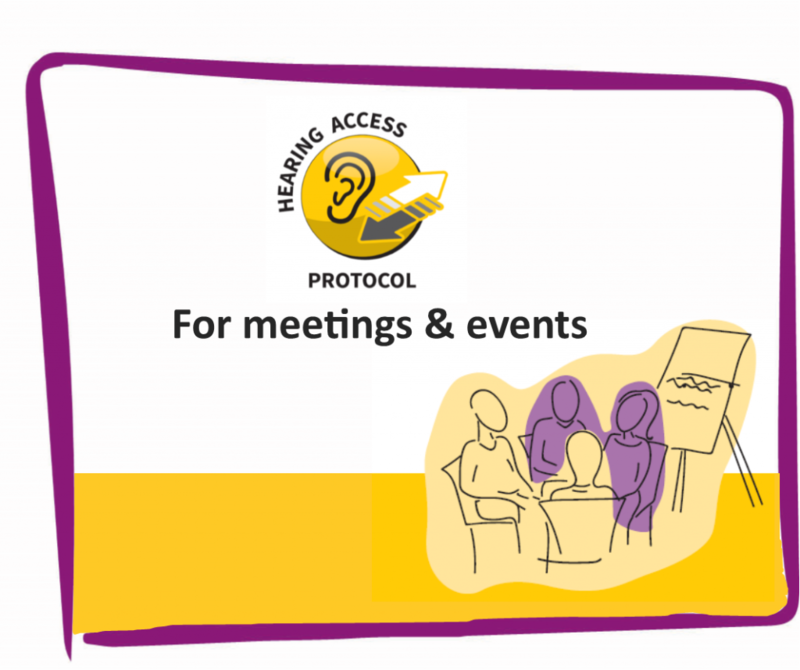 The Hearing Access Protocol provides guidance on how to design and run meetings and events so people with any hearing ability can hear and follow them, including those who are deaf. Download our summary leaflet. The Hearing Access Protocol has been developed by people with hearing loss and consultation across the UK took place January to April 2018. It has been produced by Ideas for Ears and is supported by deafscotland, the Health & Social Care Alliance Scotland, and Disability Equality Scotland. The next review of the Hearing Access Protocol will take place end of October 2018 to allow early comments and suggestions about document to be considered. Please provide feedback to Ideas for Ears by 28 October. Everyone can be affected by environments that offer poor conditions for hearing, listening and communication. Difficulties are particularly common for those who have hearing loss or other hearing conditions. Poor acoustics, presenters who are hard to understand, background noise and sub-standard audio-visual materials are just some of the things that cause difficulties. A range of support is available to support organisations to deliver a meeting or event. Webinar session – talk through the details of your meeting or event and the actions you should be taking. Team workshop – learn about the protocol and explore how your organisation can confidently deliver great hearing access time and again. 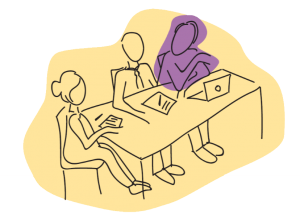 Hearing experience audit – check the diversity in hearing ability and the experiences individuals are having within meetings/events held regularly e.g. staff meetings, stakeholder meetings, group/club meetings. Meetings and events are a necessary and important feature of life. They are integral to the workplace and to social, leisure, learning, civic and cultural activities and opportunities. 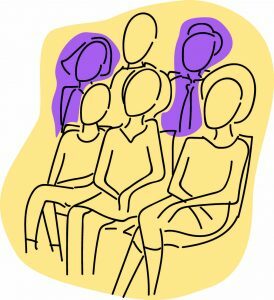 For those who find it difficult, or impossible, to hear and follow what’s being said at meetings and events, there is a real impact: you miss out on the chance for enjoyment, to contribute, to influence, or to fulfil your potential. It can be as detrimental to miss out on a few words or mishear some of what’s said, as it can be to miss out by not being able to hear or follow any of what’s said. This affects how people can get involved. There is great variation in the way that people hear. Although some people have very good hearing, one sixth of the population have some form of hearing loss. A portion of this number, have very limited or no hearing ability. Additional numbers have sensitive hearing or tinnitus. Given the variation in hearing ability, no single adjustment will deliver hearing access to everyone. However, many of the needs that people have can be met through the adoption of good practices that are sensible and beneficial for everyone, including those with good hearing. The need for good practice can seem obvious and self-explanatory when you know a little about the barriers and challenges that people experience.